Facebook is renewing four of its Facebook Watch original shows for second seasons. These shows include the acclaimed Sorry for Your Loss and Sacred Lies, both of which earned rave reviews from Paste, plus teen drama Five Points and influencer Huda Kattan’s reality series Huda Boss. 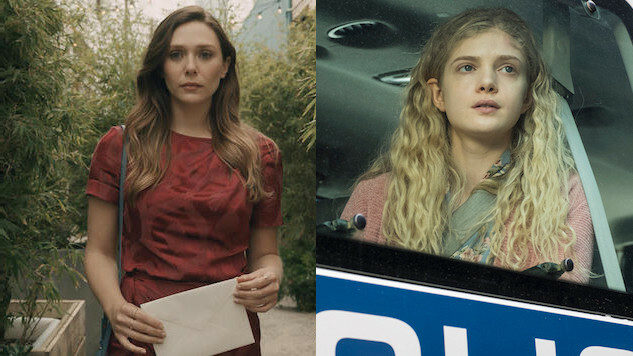 Sorry for Your Loss is a devastating half-hour drama starring Elizabeth Olsen as Leigh Shaw, a grieving widow struggling with the absence of her husband Matt (Mamoudou Athie). The series also stars Kelly Marie Tran and Janet McTeer as Leigh’s sister and mother, respectively, plus Jovan Adepo as Matt’s brother Danny. Based on the company’s stats, the acclaimed drama is the Facebook Watch original with the Most Loyal Fans. “Seeing our audience embrace and champion Sorry for Your Loss and reading the comments and posts from people who feel seen and understood watching our show, has been one of the most meaningful experiences of my life,” said creator and executive producer Kit Steinkellner in a statement. Sacred Lies, based on Stephanie Oakes’ 2015 YA debut, The Sacred Lies of Minnow Bly, follows Minnow Bly (Elena Kampouris), a handless teen who escapes from a cult and finds herself incarcerated in juvenile detention, suspected of knowing who killed her cult’s Prophet (Toby Huss). Facebook launched the Watch platform globally on mobile in August 2017, and has since expanded to desktop and Facebook Lite. The company reports that every month, over 400 million people spend at least one minute on Watch, and that the platform has 75 million daily visitors, who on average, spend more than 20 minutes on Facebook Watch.